Driving all day from Moab, Utah, to Mesa Verde National Park, then to Alamosa, Colo., didn't help me avoid the blizzard. It blew all night with 60 mph winds! 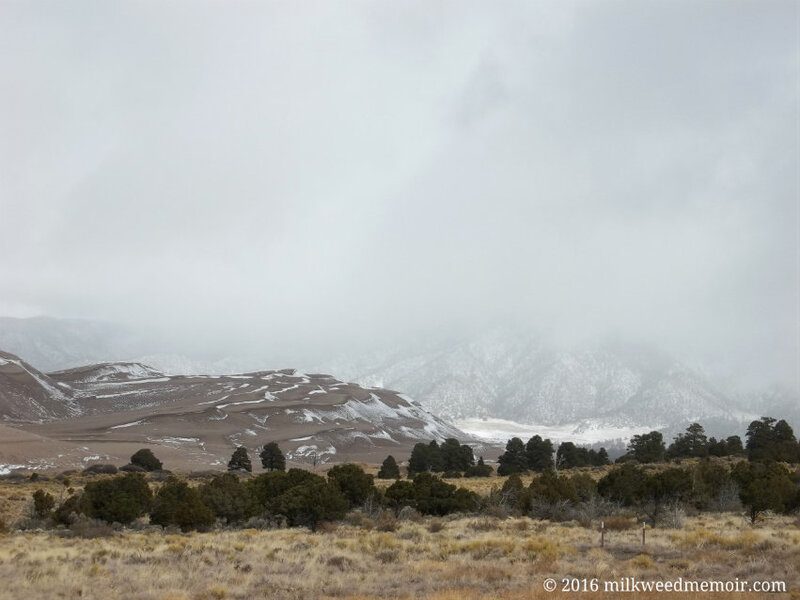 But I was consoled with this view of Great Sand Dunes National Park the next morning. Breathtaking! 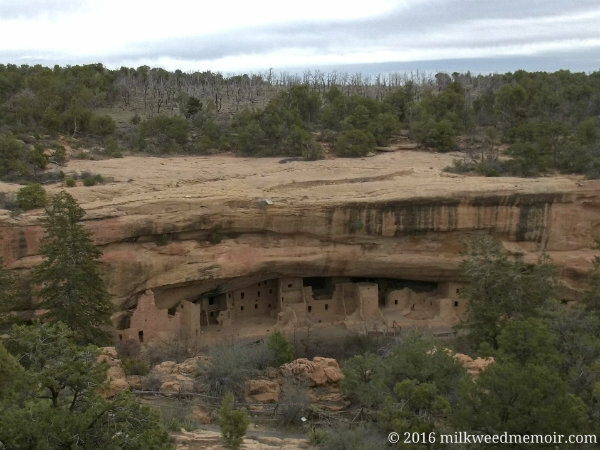 Balcony House at Mesa Verde National Park isn’t as large as the park’s Cliff Palace, but it’s where I visited with Liz in 2014. I left her a milkweed seed ball here. My visit this time was short as a blizzard was blowing toward Cortez, Colo., where Mesa Verde is. I hightailed it to Alamosa, Colo., to escape the weather. That proved fruitless as I got caught in snow flurries driven by 60 mph winds anyway! But the snow made for a great visual at Great Sand Dunes National Park the next morning! Not technically in Canyonlands National Park, the Needles Overlook gives a 270° view of the park’s Needles District. 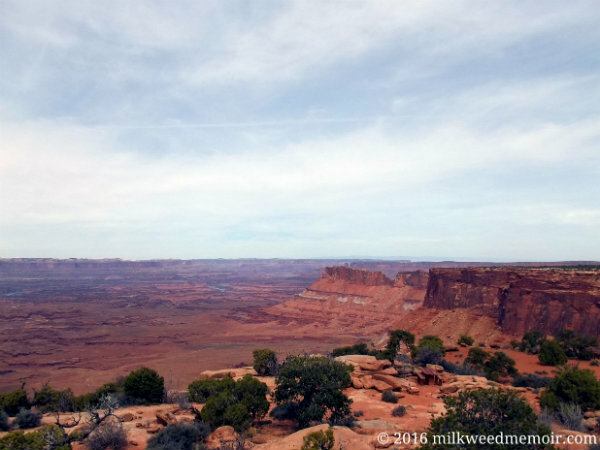 It’s about a 22 mile drive (one way) off of US 191, southwest of Moab, Utah. IMHO, the view rivals Grand Canyon’s rim. At the canyon bottom below, you can barely make out the gray-turquoise of the Colorado River, which carved out Canyonlands and the Grand Canyon further south. This is where I left Liz’s seed ball, rather than in the official borders of Canyonlands. But I don’t think she’d mind. I would have totally missed out on this incredible place if it weren’t for Spenser, a traveling Mainer who helped me get Kennel un-snowbound a couple weeks ago. He recommended – just about insisted – I visit Needles Overlook. So glad I listened!